Germantown, Tennessee--September 7, 2018--Over the summer, the TN Department of Education released their new science standards. Several GMSD teachers went to training over the summer to become well-versed in the standards. The most notable difference is that the new standards regularly embed STEM skills (science, technology, engineering, and math) into lessons. Germantown Municipal School District, in conjunction with the new state standards, has also adopted a new textbook series that is aligned with the changes. Discovery Ed Tech, the series purchased, is also the district’s first true, online textbook. The adoption of the series is working well for teachers in the first year of full 1:1 device implementation at the middle and high schools. For students though, besides the added possibilities of online interactive textbooks, they are very excited about the hands-on activities in the lessons. Take Houston Middle students as an example. New science standards were “soaring” this week. Teachers literally took to the sky with the implementation of the new science standards in their first unit of study. 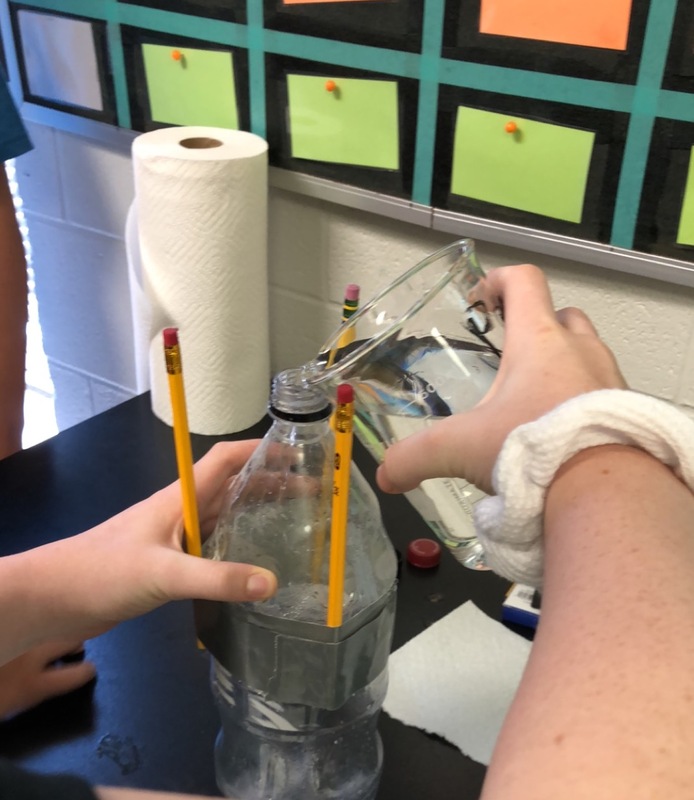 “To wrap up their study on Newton's laws of motion, 8th grade students built bottle rockets to have a visual understanding of the third law. 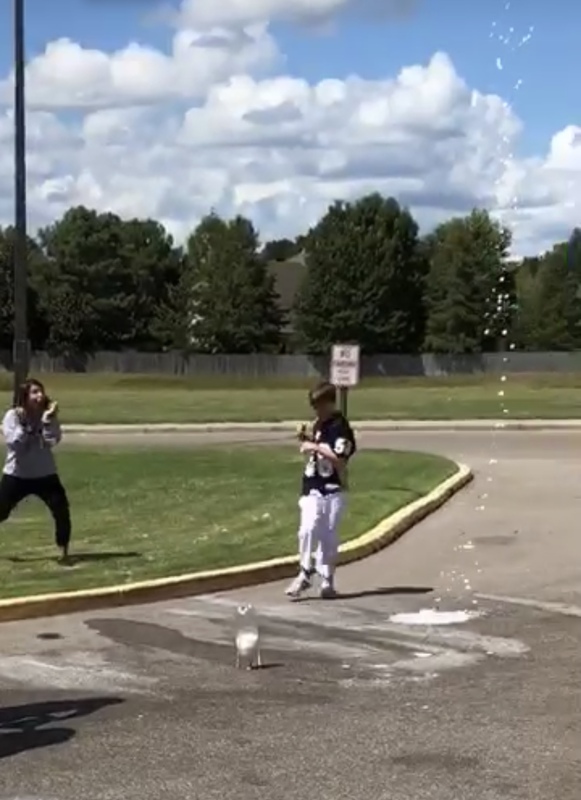 They conducted a secondary experiment by varying the amount of baking soda in the rockets to see which would launch the highest,” said Principal Liz Dias. “How about that Mr. Newton!” she joked. Parents and students can expect to see some great activities as teachers continue to explore the new standards.